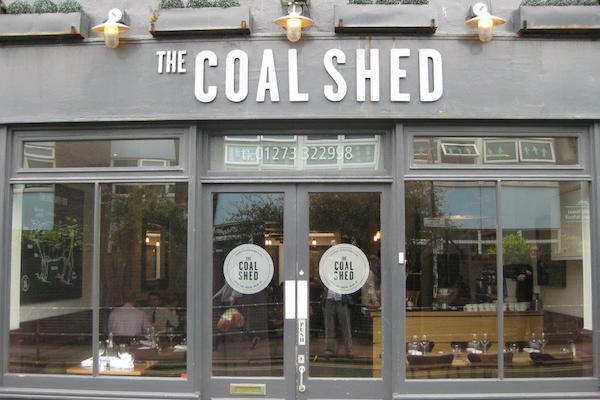 The Coal Shed is right in the centre of Brighton and is the perfect springboard if you are going on to the theatre or cinema afterwards. 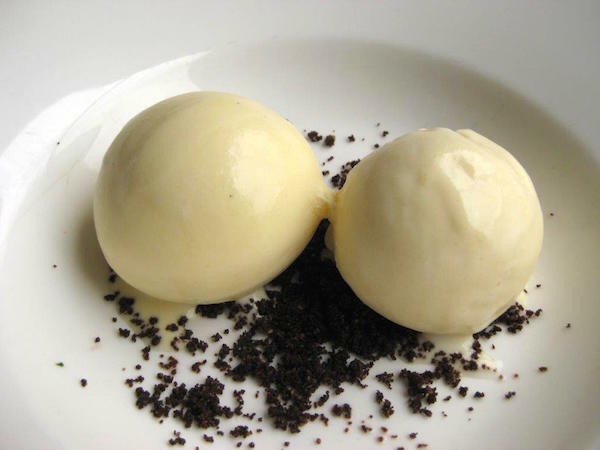 It has been named as one of the UK’s best restaurants by the prestigious Observer Food Monthly awards and has also been widely recommended by other reviewers including The Guardian and The Telegraph. It is run by the same group as the up and coming Salt Room, which opened on the sea front in February 2015. 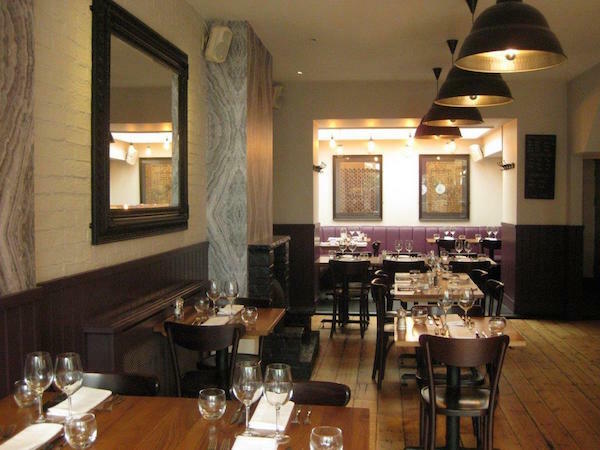 The à la carte menu is a dream come true for carnivores and pescetarians alike. If you must take a vegetarian there they won’t starve but their options will be limited as this restaurant is specifically “a gourmet steak and seafood restaurant”. Their emphasis is on “quality ingredients, expertly cooked” and their pride and joy is their Josper Grill, which allows them to cook meat and fish directly over a real charcoal fire. They use seasonal and sustainable local ingredients whenever possible. Their beef is sourced from the Highlands of Scotland where the exclusively grass-fed Aberdeen Angus stock are ethically farmed and organically reared. Steaks are dry-aged for a minimum of 35 days to achieve maximum flavour. 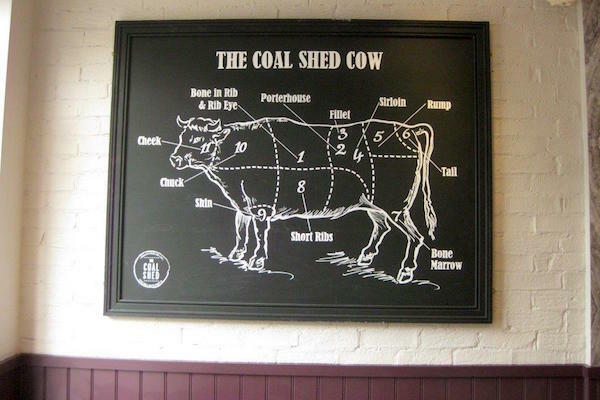 You can choose the cut and weight of your steak and there is a handy board showing the various cuts of beef if you need a little help, though the waiting staff are also on hand to advise. The Coal Shed is not solely a steak house, they also specialise in seafood and serve a mouth-watering selection of fish dishes including cuttlefish, oysters, sea bass, bouillabaisse and lobster. The décor is modern and classy with a great deal of attention to detail. There are beautiful industrial lighting fixtures giving off a warm glow. The furniture is a mix of glossy, dark and stripped natural wood and there is a gorgeous natural wooden floor. Despite the hard surfaces, it is very comfortable and the excellent acoustics allows for private yet easily audible conversation. 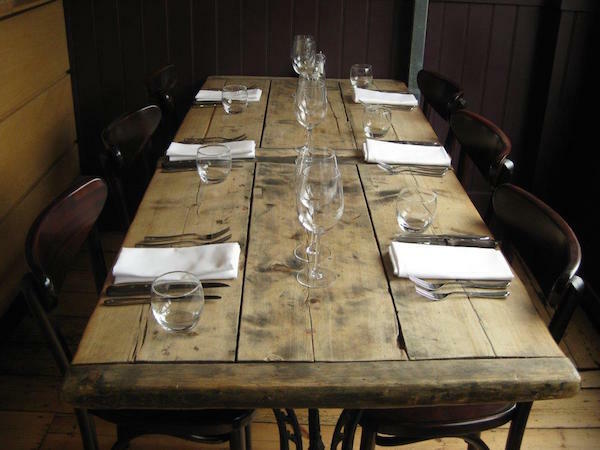 The tables are well spaced and everything is spotless and highly polished. If you are lucky enough to sit by the window there is a plush purple velvet curtain to protect you from the draught and provide a little privacy. This is also the best spot to enjoy the envious looks of hungry passers-by. The bar is well stocked with spirits and bottled beers and there is a comprehensive wine list. You can even check out owner Raz’s recommendations for the best wine to go with your particular cut of beef. We went for a Viognier which was dry, crisp and refreshing and went perfectly with our meal. We were warmly greeted by Michael (Assistant Manager) and all the staff were friendly and attentive in only the way that those who are proud of where they work tend to be. We were there to sample the Lunch and Pre-Theatre Menu. You can order two courses for £15 or three for £17.50 but don’t let the fact that it is exceptionally good value fool you into thinking you will get small portions. We went for the three course menu and were pleasantly stuffed by the end. We had a pre-starter nibble of bread, olive oil and balsamic vinegar. The bread was fresh, tasty and soft and the oil and vinegar good quality, always a good way to whet the appetite. The starters smelled fantastic and were beautifully presented on gorgeous black plates which made the colours of the ingredients sing. My husband had the Courgette, Falafel and Smoked Aubergine, which was delicious! The falafels were perfectly browned on the outside, soft and moist in the middle and tasted earthy and savoury. the smoky aubergine purée was smooth and creamy and the accompanying handful of mixed leaves had a lovely dressing and was sprinkled with crunchy sesame seeds. 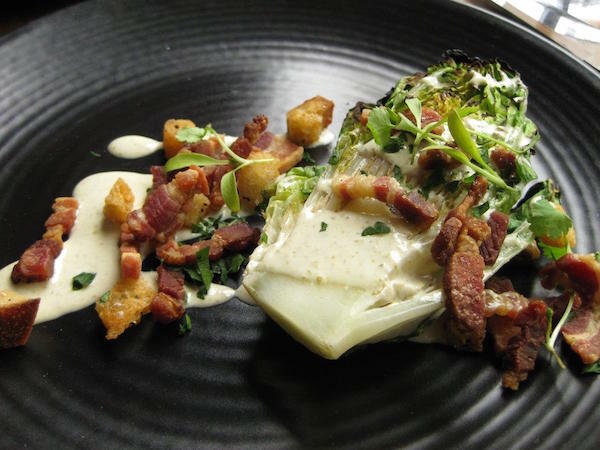 I went for the Chargrilled Baby Gem, Pancetta, Parmesan, Caesar Dressing and Croutons. I love a good Caesar salad but they can sometimes be overly rich, verging on sickly. Not so in this case, it was a perfectly balanced plateful of fresh, crunchy, individually tasty components brought together with a delightfully light, tasty, creamy dressing. 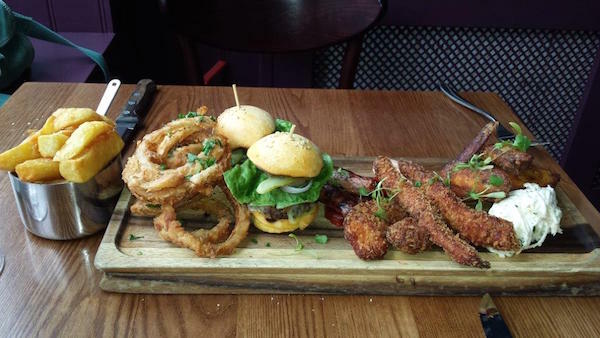 For our mains we ordered a BBQ board to share. As you can see from the pictures it looked spectacular. Everything was hot, perfectly cooked and very well seasoned. We were given Chilli Honey Chicken Wings, Cheese Burger Sliders, Chicken Goujons, Celeriac Remoulade & Onion Rings. There were also sausages, roasted red peppers and a thousand island dressing. Nothing was overly messy to eat even though much of it was finger food, which is handy if you’re wearing your finest for an evening of entertainment. 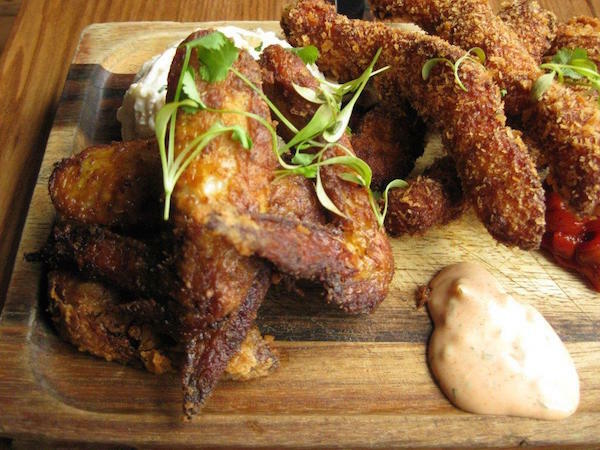 Everything was lovely but the bits that really stood out were the succulent chicken wings, the celeriac remoulade which was creamy and crunchy with a zing of lemon juice, and the onion rings. I’m not usually a fan of onion rings but maybe that’s because I’ve had one too many droopy, greasy loops of soggy batter with little if any onion but these were great. They were properly crunchy rings of juicy onion. The chips were also fantastic! Cooked in beef dripping, they were golden and crunchy with fluffy centres and sprinkled with just the right amount of coarse sea salt. To summarise, it was excellent value, high quality, feel-good food. 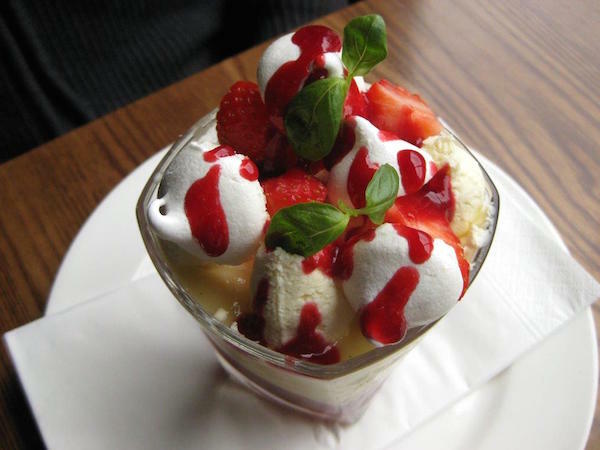 Perfect for an indulgent lunch or to set the mood for an evening of theatrical entertainment. The beauty of the set lunch/pre-theatre menu is that it is a fraction of the cost of the à la carte evening menu but all of the quality and I promise you will be back there for dinner before long. 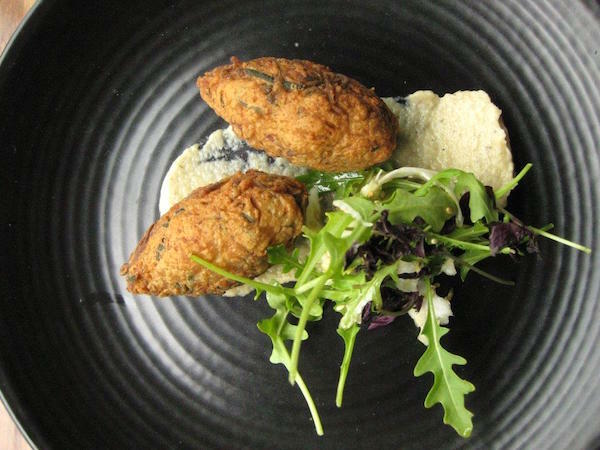 The lunch and pre-theatre set menu changes weekly and is served 12-4pm Monday to Friday and 6-7pm Monday to Thursday. Otherwise The Coal Shed is open seven days a week, lunch is served between 12-4pm and dinner between 6-10pm (10.30pm Friday & Saturday). They also offer a private dining room with your own personal waiter, which can cater for up to 14 people (not available on Friday & Saturday evenings or during Sunday lunch). They do Sunday sharing roasts for two at a very reasonable £30-40 or offer roast trimmings with all their steaks for an extra £7.50 and BYO Mondays (£5 corkage). For the particularly gastronomic among you they also run a Supper Club and a Wine Club. * All details and prices correct at the time of review. Please check restaurant website for up to date information.